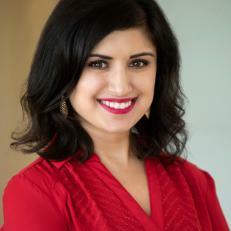 Farima is a writer and editor for DIYNetwork.com. She's all about color when it comes to decorating and believes the right color combination can positively affect your mood. When she's not on the lookout for the latest trends, you can find her hiking with her Yorkie, Rosie, trying the newest restaurant in town and cheering on the Tennessee Vols and Alabama Crimson Tide football teams.